Are Plungers at the Polls Illegal? 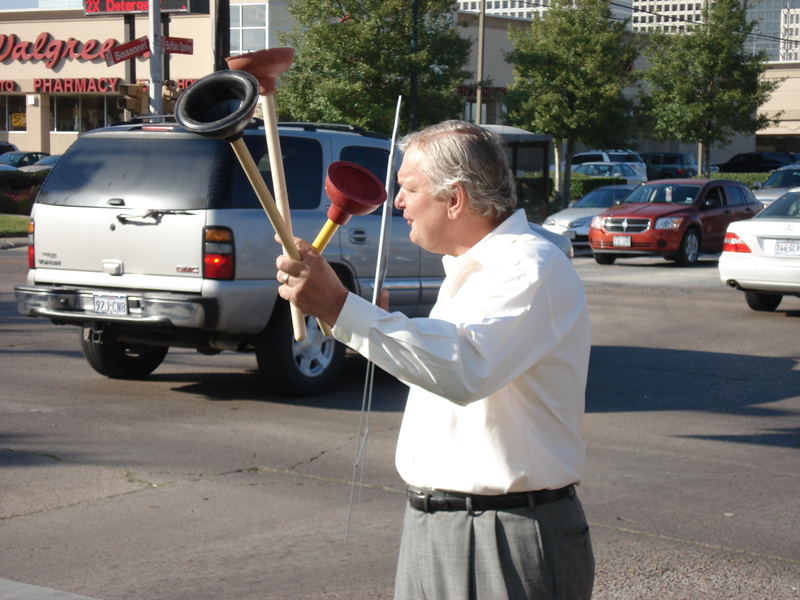 Harris County Democrats are questioning whether Commissioner Steve Radack’s plan to pass out plungers at the polls on Tuesday could violate election laws. The D’s say it would be illegal for people to take the plungers into their polling precincts and near the ballot box. Commissioner Radack counters that as long as the plungers don’t have a candidates’s name on them there isn’t a legal problem. He says people who want to have a plunger should be OK as long as they stay beyond the distance markers. As I reported earlier, Radack purchased more than one thousand plungers to remind voters about “Joe the Plumber” who has become a hit on the campaign trail. 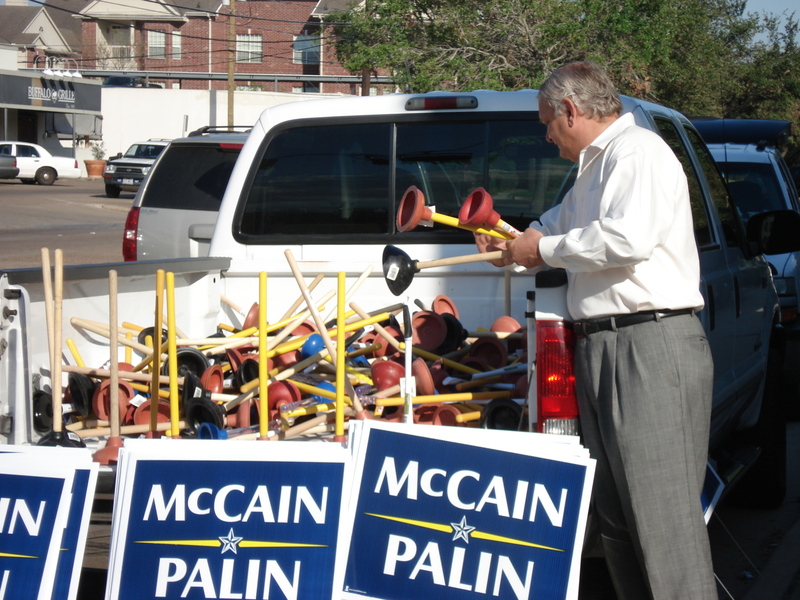 2 on the Beat caught up with Commissioner Radack as he passed out plungers and McCain/Palin signs Monday afternoon.